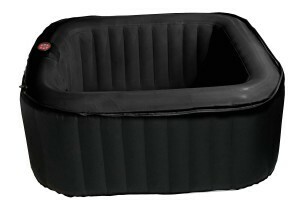 Spa makers has once again made another remarkable addition to the hot tub family through its invention of inflatable hot tubs. With a spa that is movable and affordable, many more people no matter where they are now enjoying the benefits of a private hot tub. Read the details below to find out what drives many people crazy over these cool spa creations and discover what sets it apart from the traditional tub layouts that everyone is so fond of. We know the conventional hot tub and spa to be a miniature pool equipped with a heater that supplies hot water and with features such as seats, lighting and jets. The tub itself is made out of solid and sturdy materials like wood, acrylic or polysteel and is reinforced with thick cabinets that provide added support and insulation. 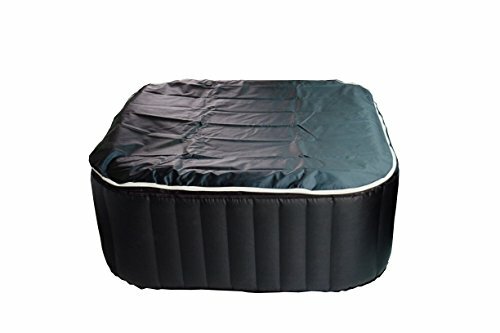 An inflatable spa is the blow up and portable version of hot tubs. Complete with water jets, filtration system and digital controls, no doubt its layout is still patterned after its predecessor. These things may come in small hot tubs or they can also be big enough to comfortably sit four to six people. 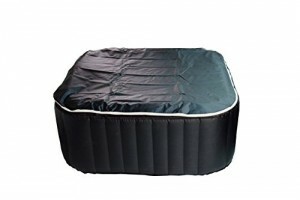 Most inflatable hot tubs are quite easy to set up and do not require any special tools other than a 110 -120 Volt outlet. Air just has to be pumped into the structure in order to form the tub and before it can be filled up with water. Its lightweight PVC lining makes storage and shifting locations possible. A Conventional Hot tub or an Inflatable Hot Tub? 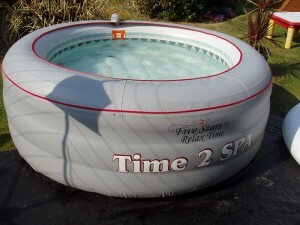 We have just described two popular spa configurations – the conventional, more permanent spa and an inflatable spa. But before you run to your portable hot tub dealer or purchase one online, it is important that we also look at some of the good points and downside to owning the blow up type. A cheap substitute to the more expensive, traditional spa. For a few hundred dollars, you can be lazily sitting on a brand new inflatable hot tub. There is no need to pay contractors by the hour and hire experts to dig holes, modify plumbing and overhaul the yard when all you need is a regular 110-120 Volt outlet and a clean, level ground. A space-saving and a collapsible tub that can be deflated in minutes and put aside in a cabinet or under the bed when not in used. Something to bring along with you when leave your apartment after your lease expires or if your job requires you to travel a lot. A 2 person hot tub or a spa to fit four other people and something that can be ordered online and be set up with a little bit of help from the manual that should come with the package. An indoor hot tub and an outdoor hot tub in one. Because they are made from li ght materials, they can be stored in a bag and be carried to any location around your home. Spend hours in the spa while in the backyard or in the patio during summer and when winter comes, move your relaxation spot to some place warmer like in your spacious bathroom. Sharp objects piercing and penetrating through the spa’s lining. When you do not have enough time and patience to be constantly watching out for things and animals that can potentially break your portable hot tub. When energy efficiency and heat loss are important to you. The absence of thick walls and mutilayered insulation combined with other factors such as cold weather conditions and the lack of a hot tub cover tends to cause loss of heat at a much faster rate. This is one of the reasons why you pay more for a spa. When you consider a spa to be more than just a small hot water pool with massage jets and rather look at it as a potential design piece next to a swimming pool, on a wooden deck or bui lt under a rustic hot tub gazebo. Here are just some of the things to take into account when deciding between an inflatable spa or the conventional tub. By scrutinizing their individual characteristics, you become aware of their strengths and weaknesses which should help you weigh in on what is most important to you as a spa user and not just entirely base your purchase on whatever is cheaper. If you want get more information on blow up tub designs, check out Leisure Bay Spa website and also read about inflatable hot tub reviews. 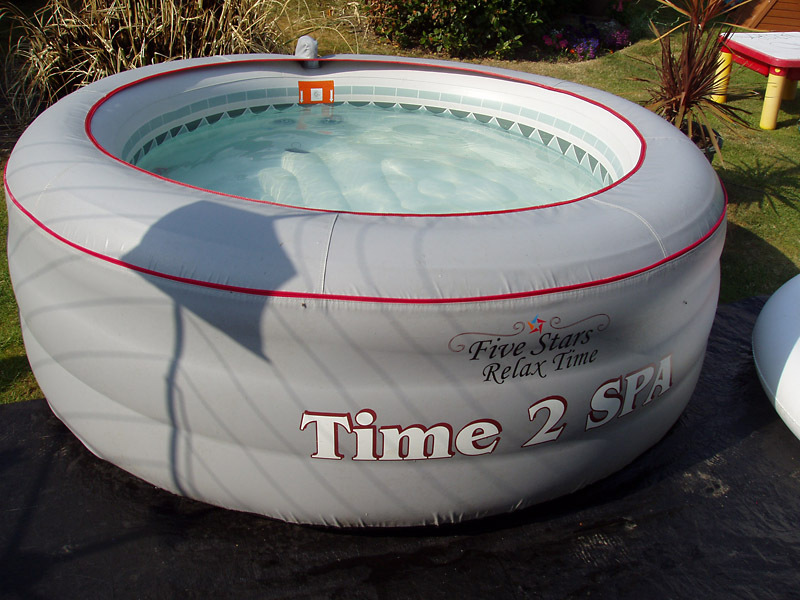 This entry was posted in hot tub reviews, Portable hot tub, spa, ways to relax and tagged cheap hot tub, discount hot tubs, hot tub price, hot tub reviews, luxury spas, Portable hot tub, spa for sale. Bookmark the permalink.